Please note: The following article may contain spoilers up to Episode 5 of Westworld. HBO’s Westworld (on Sky Atlantic here in the UK) is progressing nicely, though even now at five episodes in it’s probably a little too early to start speculating about what is going on exactly. However, at the risk of casting wild speculations that hindsight later proves naive, one character that is particularly interesting: Anthony Hopkin’s Dr. Robert Ford. I mentioned in my last post on Westworld that Ford’s name is meant to make audiences recall Henry Ford, the twentieth-century industrialist and whose name has become synonymous with automated mass production and consumerism. Though Ford did not invent the assembly line, his implementation of the industrial mode of production conjures images of the sort of alienated labour that has been held responsible for the dehumanisation of human beings since the dawn of the Industrial Revolution. But Henry Ford can also be regarded as a cousin of a particular kind of character we’ve seen repeatedly in fiction and film over the centuries (specifically, the centuries since Western thinkers started exhibiting anxiety about the effects with how we make things – industrialisation – and the accompanying way of thinking – rationalism). Frankenstein, as I’ve said before, is the grandfather; Faust is perhaps the older, more distant relative; Prometheus is their icon. Though Frankenstein is probably the best known of these mad scientists, his monster was biological, not mechanical. 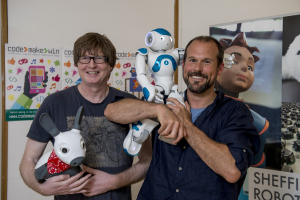 But from the very first stories about robots, mad scientists have been portrayed as the crazed geniuses that unleash their creations upon the world. 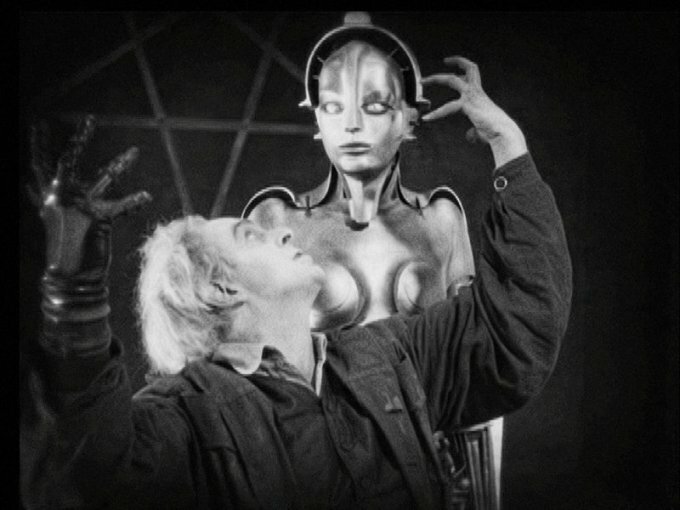 Rotwang, of Fritz Lang’s 1927 Metropolis created a new template who can count amongst his descendants, including Dr. Edward Morbius, Dr. Eldon Tyrell and Nathan Bateman. But as those last two examples demonstrate, the mad scientist has undergone something of a transformation of late. And we can give some credit for this to none other than Isaac Asimov. Asimov, as we know from his writings – and from his short essay on ‘The Frankenstein Complex’ – was against this persistent of archetypes of robotic monsters; he was also unhappy with the portrayal of roboticists as the mad scientist and sought to normalise the job so that the public would regard roboticists as just ordinary people with ordinary occupations. Asimov’s robot stories are devoid of villains, they are populated with scientists, engineers, ‘robot psychologists’ all simply going about their business, trying to fix robots that have gone awry. And the robots in Asimov’s stories are shown to be simply ‘malfunctioning’; they are not acting out of any malice caused by newly achieved self-awareness and a subsequent desire to sadistically destroy the human race. Asimov’s robots simply have problems in their programming, problems that have rational explanations and can be addressed using a similar application of reason. If only all science fictions writers were as committed to such lofty ideals. Asimov’s stories are unique because they are different in terms of structure. These are not traditional stories of conflict, of good guys in white hats battling black-clad evil-plotters. Some might argue that Asimov’s stories, for all their noble intentions, lack something… excitement, maybe… without these usual elements. Regardless, most science fiction writers since have been unable to resist the temptation to put villains and more traditional story-arcs back into their robot narratives. But in such a world, where does a sci-fi writer look when trying to imagine the Baddie? Where can writers find a suitable antagonist against whom the hero can do battle and audiences can fist-pump their relief when they are finally defeated? The image we might have once had of the isolated, mad genius working (virtually) alone in a dungeon converted into a laboratory (a very intriguing transformation in its own right) no longer suffices for Tyrell and Bateman and their like. The modern scientists are much happier in clean, ultra-modern research facilities or skyscraper. These new scientists are not aided by a sole hunchback named ‘Igor’ but are rather backed by an entire corporate machine, with boards of directors, capital, public relations teams and (often) military contracts. This transformation of the villain in robot-monster movies, from the individual mad scientist to the soulless, harmful corporation, represents an important shift in what we, as a society, fear and the root of our anxieties. 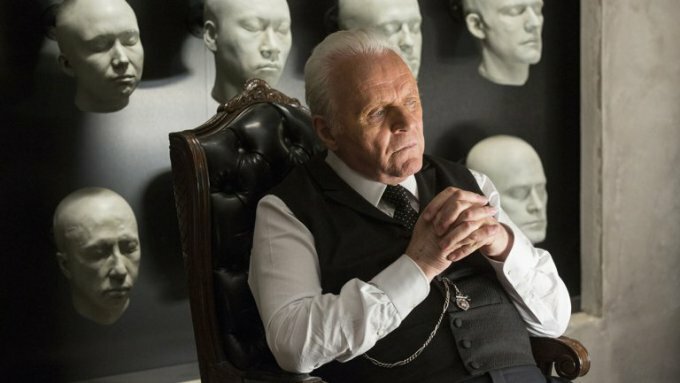 What we seem to be seeing in Westworld – and remember, it is far too early to say with any certainty, so this is really not much more than an historically-informed fan-theory – is this shift from the mad scientist to the corporate villain being illustrated right before our eyes. On the one hand, we have Dr. Ford. He’s old now and has been at the park since its inception [See what I did there – ‘Inception’…?] . In fact, as he explains in Episode 3, he was there before the park opened together with his partner, the mysterious ‘Arnold’. Both Ford and Arnold are presented as scientists cut from the ‘mad’ lab coat. It’s said that Ford is ‘chasing his demons over the deep-end’. Ford, echoing his forefather, Frankenstein, wistfully speculates that one day ‘We can …perhaps one day even resurrect the dead.’ When Abernathy says in Episode 1 that his ultimate goal is to ‘meet his maker’ he echoes many other famous monstrous creations, from the original Frankenstein’s creature to Roy Batty, Tyrell’s rouge android. Harkening back even further, to the archetype’s Faustian roots, Ford says ‘You can’t play God without being acquainted with the devil’. Ford explains to Bernard the nature of his art: ‘We practice witchcraft. We speak the right words, and we create life itself out of chaos’. And so on. And of course, Arnold looms over all of this, perhaps literally the deus ex machina, the god from/in the machine, may yet to overturn whatever agenda are being set and thwart whatever objectives others imagine Westworld realising. But lurking behind Ford, behind Arnold, is this as-yet unidentified corporate agenda. As Theresa Cullen explains to the ambitious Sizemore: ‘This place is one thing for the guests, another thing to the shareholders and something completely different to management.’ (Do you ever feel that the names in Westworld might actually all be allegorical, in one way or another? It makes guessing what might happen next fun…). If films about robot monsters are expressions of our anxiety that humans are becoming too much like machines and vice versa (see this paper I wrote for a slightly different version of this argument), then the corporation is the ideal villain into which we can project this anxiety. The corporation is like a networked machine, made up of many interrelated nodes; eliminating one of these cogs does not bring the machine to an end. It behaves like the Terminator, ruthlessly pursuing its single goal, with no consideration for collateral damage or the pettiness of things like human emotion, or life. Furthermore, if human beings are becoming less human in our rational, (post-)industrial world, the corporation not only represents this transformation but facilitates it. The corporation provides a legal framework and a moral justification for our dehumanisation. The ubiquity of corporations in our economic (social) life means that we are all subject to their influence, and are all in danger of being dehumanised in its machinations. The very foundations of human society become not based on human relations but relations between signs, or figures on a spreadsheet. Such structures mean that the role of individual decision-making is removed from the equation: human beings do not decide to ‘go black hat’ and be evil. But nevertheless, whatever decisions we make, we live a world less-human and less-humane, in spite of ourselves. Just as demons once provided scapegoats for human immorality, we can absolve ourselves of responsibility for our dehumanisation with the knowledge that we, like the corporations and their machines, are pre-programmed by a system whose script we are unable to extricate ourselves. It is still too early to tell if Westworld will actually go down this road, if it will continue to offer this post-Asimov twist. (The first series of Channel 4’s Humans also seemed to suggest that this might go in similar direction, so it will be interesting to compare how both or either deal with this issue.) It’s perhaps folly or even hubris at this point to speculate, such are the rich possibilities. I can’t wait to see how this develops, however, and who is revealed to be the ‘villain’ of Westworld, or if it will eschew any such traditional narrative structures.